The Department is mainly responsible for regulation of the use of Motor Vehicles in the State and collection of tax on Motor Vehicles, Road Safety, Control of Air and Noise pollution in accordance with the provisions of the Acts and Rules. 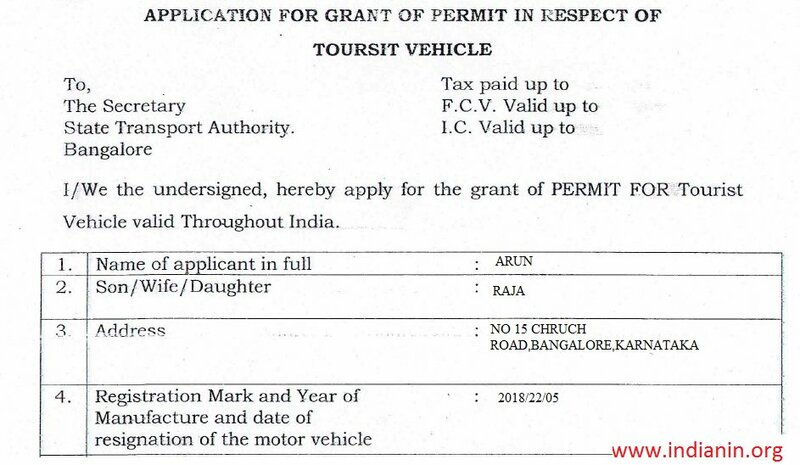 The Department of Transport was constituted by Government Order No.T6811:6865 RT :53-54:10 Dated 03-03-1955 vide Notification 4285-98 MV-23-56-57 Dated 27-08-1956. Then it was named as Motor Vehicles Department. Thereafter, the Department was re-named as TRANSPORT DEPARTMENT. 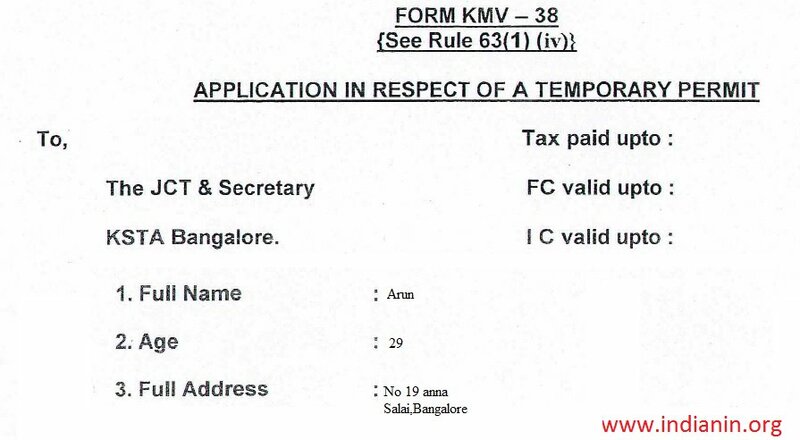 ** MV shall conform rule 128 of CMV Rules 1989 and Rule 128 compliance certificate issued by the concerned RTO. ** For the purpose of promoting Tourism Central Government Tourism Department issued a valid licence certificate or recognition certificate. ** If the resolution of RTA/STA or the order of the court. ** No objection certificate from the financier if the vehicle covered by HPA/Lease/Hypothecation. ** Fee half of the permit fee. ** Both the vehicle should be in same nature. ** Fee Rs. 200/- per month and Rs. 100/-for endorsement fee. For a Stage carriage temporary permit can be issued not more than four months at a time) A Regional Transport Authority of one Region may issue a temporary permit under Section 87 to be valid in another region or state with concurrence given generally or for the particular occasion of the regional Transport authority of that other region or of the state Transport Authority of that other state as the case may be. 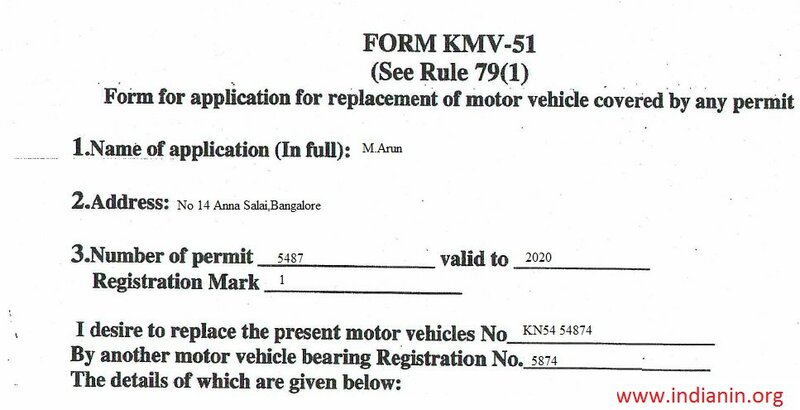 ** Applicaiton Form CMV 4-A available in the office/download from website. ** Medical Certificate in form CMV 1 & CMV 1A shall be enclosed along with the application. ** Three Recent passport size photographs. ** Candidate shall appear in person. ** The applicant should be citizen of India. ** Applicant shall appear for re-test if the Driving Licence issued is within three months. ** The address in the Driving licence should fall under the jurisdiction of the Regional Transport office to where the application for IDP is being made. ** Validity of the IDP will be for one year or till the validity of the driving licence which ever occurs first. ** The applicant has to present himself along with above application and documents before the Asst. R.T.O. and to appear for oral test before the testing authority. ** Knowledge of provisions of Motor Vehicle Act and Rules relating to the duties and functions of the conductor. Adequate knowledge of duties and conduct of a conductor stipulated under rule 25 of KMV Rules. ** International Driving licence will be issued for the period of three years to those qualified in the Test and will be delivered on the next day. ** The resolution of STA or the order of the court. ** Application shall be filed before 15 days expiry of permit. ** R/C, T/C, I/C, ETC. ** No objection certificate from the financier of the vehicle concerned if covered by HPA/Lease/Hypothecation. ** If the resolution of STA or the order of the court. ** Consent letter of the family members. Permit Fee of Rs.750/- + Rs.100/- to be paid at RTO Cash Counter. ** Permit will be issued for five (5) years. To be renewed thereafter. ** Fee Rs. 750 + Rs.100 to be paid at RTO Cash counter. ** No objection certificate from financier if the vehicle concerned is covered by HPA/Lease/Hypothecation. Fees: Rs. 375/- to be paid at RTO Cash counter. ** National Permit means a permit granted by a competent authority to a goods carriage to operate throughout India / the territory of or in such contiguous states not being less than four in number including the states in which the permit is issued as may be specified in such permit in accordance with the choice indicated in the application. ** National Permit in respect of goods carriage is issued as provided for in sub section 12 of section 88 of MV Act 1988. A National Permit in respect of goods carriage is generally issued by the Secretary / Additional Secretary of Regional Transport Authority concerned under delegated powers. ** Whenever a National Permit is issued in respect of goods carriage, authorisation should also be issued to enable the vehicle concerned to be used in other states as mentioned in the permit after collecting authorisation fee and composite taxes for other states. ** National Permit will be issued for goods vehicles within 12 years of age from the date of registration. ** No NP shall be granted for a multi-axle goods carriage which is more than 15 years old. ** National Permit Fee of Rs.1100/- to be paid at RTO Cash Counter. ** Authorisation fee of Rs.1000/- to be paid at concerned RTO/ARTO. ** NP Colour certificate issued by Executive Staff under Rule 90 of CMVR. ** NP will be issued for five (5) years. To be renewed thereafter. ** Validity of the Authorization fee and consolidate fee is for one year. To be renewed every year thereafter. 3. Click on Get Details Button. 4. Click on check status Button. 3. Click on Check Status button. ** National Permit Renewal Fee of Rs.1000/- to be paid at RTO Cash Counter. In case of belated application Rs.500/- fine to be paid. ** Authorisation fee of Rs.1000/- to be paid atconcerned RTO/ARTO (If earlier Authorization is expired). ** NP will be renewedfor five (5) years or age of the vehicle whichever occurs first. Validity of the Authorization fee and consolidatefee is for one year. To be renewed every year thereafter. ** Affidavit (statingthat permit is not impounded by the any Police / RTO / Court and Financier). Permit Fee of Rs.400/- + Rs.100/- to be paid at RTO Cash Counter. Fee : Rs. 400/- + Rs.100/- to be paid at RTO Cash counter. ** For more information please contact the respective DCT & Sr.RTO / ARTO. ** Original Documents of both the vehicles.